20 Best Survey Sites List of 2019. 20 Best Survey Sites List That Genuinely Pays. 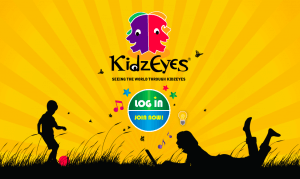 5) KidZEyes: Survey Sites for Kids (Age 6 to 12 Yrs.) Who Want to Earn Money Online. Q1. What Kind of Questions Does Survey Contain? Q.2 Why Do They Pay People To Answer? When it comes to making money online, survey sites are one of the most popular choices among the people. The answer is quite simple, who will not love to earn money by just answering few questions from home and getting paid for it. Yes, this is what survey sites stand for. You just need to participate in market research surveys conducted by survey websites on behalf of the companies and you have to answer all the questions of the survey (Which will be used as a data for market research by the companies) and you will be paid for participating in that particular survey. No, it’s not for some people. They are so many fraudulent survey websites which charge people membership fees or registration fees and cheats them. That’s why people have actually been holding themselves back by not participating in the surveys. Because not all survey sites are fraud or scam. 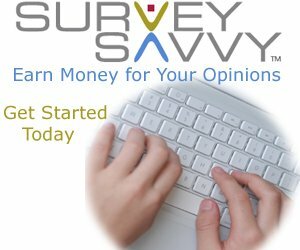 There are some legitimate survey sites from where people do earn money by just participating in surveys and answering the questions of the surveys. And these survey sites not even charge a single penny for registration. Which means registration is totally free and it also pays their members regularly. And these survey sites have been there for a long time. Which are those sites? I heard you say. 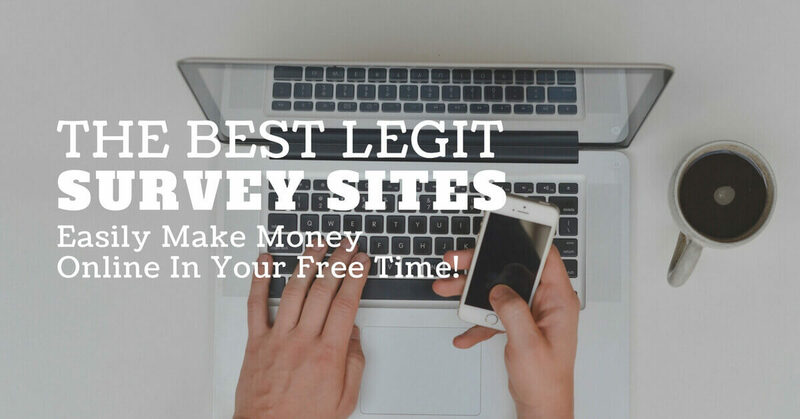 Don’t worry, in this article, I am going to share a list of more than 20 Best Survey Sites which are legitimate, free and they do pay you for participating in surveys on their website on the regular basis. These survey sites are the most trusted survey sites on the internet and they have been there for a very long time. Before you start registering yourself on these sites, here is a prerequisite which you need to take care of. You need to have a PayPal Account set up for yourself. Because most of these websites pay you by sending money to your PayPal account. So PayPal account is a must if you need to get paid for these sites. Setting up a PayPal is not rocket science. You can just set up a PayPal account in 2 minutes or less. You can watch a video tutorial (YouTube) on “How to create a PayPal account” and you will know how to do it in the proper way. So go and set up the PayPal account first for yourself in order to get paid from these survey websites. If you are teen aging from 13 to 18 then this survey site is the best choice for you. Because here you will be participating in surveys which will have questions about the product which you already love to use. And that’s why it is one of the best survey sites on the internet as of now. Products and services such as Snacks, TV shows, chocolates, video games, music, clothes, and movies. For every survey you participate you will be paid anywhere around from $2 to $20. Sometimes this can be less or more also. To cash out, you need to have a minimum amount of $10 and you will be paid that by check. People often think that $10 or $20 is the highest amount you can get for participating in a single survey. But that’s not applicable for survey sites like MindSwarms. MindSwarms site as high as $50 for participating in a single survey. These surveys are video surveys and a completing a single survey successfully will take around 15-20 minutes. And as I said, there is no minimum payout guideline, so you can cash out this money anytime to your PayPal account. This site is also well known for paying the high amount on surveys. It is a very old and one of the most trusted survey sites on the internet. They pay you anywhere around $1 to $20 for each survey which you successfully complete. The best part is they also pay you if you refer people to their sites. Means you can earn using two ways from a single survey site. One way is by participating in surveys and the second one is by referring people to these sites. And there are no minimum payout guidelines, therefore you can request for cash out at any time. You will be paid by check, sent to you at your registered address. We already discussed a site which is best suited for teens who want to earn money using survey sites out there. And now it’s time for parents to earn money by participating in surveys offered specifically for parents at ParentSpeak.com. This survey revolves around parenting. Mostly around the products such as food, entertainment, electronics, and clothing. The company behind this survey website is one of the most reputed and trusted Chicago based Market Research Company. And that’s why it is one of the best survey sites on the internet as of now. The minimum payout is $10, so you need to have this much money before you cash out and the payment will be sent to you via the check to your registered address. We covered best survey sites for teens and parents. And now it’s time to cover best survey sites for kids as well. So For those kids, who wants to start earning money online by participating in surveys they can register themselves on KidZEyes.com. 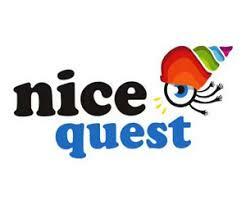 It is the best survey sites for the kids (6 to 12 yrs.). This company is also a Chicago based market research company. Most of the questions in the survey are about the products which kids mostly use. Products such as Toys, Electronics, Games, TV Shows, and Packaged Food. The minimum amount to withdraw is $10. And you have an option to select the payment method. You can opt for either payment by Check or PayPal. And that’s why it is one of the best survey sites on the internet as of now. This site is a hidden gem for the gamers on the internet. Where would you get an offer to play and test unreleased games for free? Nowhere. It is just Microsoft has a panel of game lovers where you can just go and register yourself with them and they allow you to play and test the unreleased games and review them. It is like having a game tester position in any video game company, just the difference is you are doing it from your own home and that also for a Big Company like “Microsoft”. And that’s why it is one of the best survey sites on the internet as of now. And above that, you will be paid via free software and games. Isn’t it amazing? Yes, it is- I know. Payment: PayPal, Amazon.com e-vouchers, and iTunes gift cards. iPoll operates in countries like India, Mexico, Brazil, Germany, Vietnam, Pakistan, China, and many more. The best part about joining iPoll is you are going to get paid for just joining them. Which means you will be paid a $5 signup bonus on your registration with iPoll. Anyone above can register with them and start earning money by just successfully completing the surveys on their website. It is one of the best survey sites on the internet and you should definitely consider checking them out. And that’s why it is one of the best survey sites on the internet as of now. Here the minimum payout is $25, so you need to have this much amount in your iPoll account before you opt to withdraw. You will be able to withdraw money using PayPal, Amazon.com e-vouchers, and iTunes gift cards. Opinion Outpost is a child company of a giant market research company named SSI (Survey Sampling International, LLC). Here you will earn points for each survey you complete successfully. 5o points are equal to $5. It is a very well-known and trusted survey website on the internet. 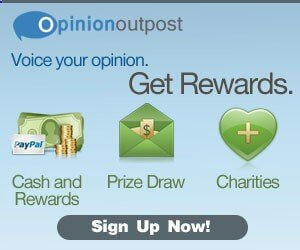 You can withdraw your payment once you have more than $5 in your opinion outpost account. You can opt for either PayPal money transfer, Amazon.com e-vouchers, or iTunes gift cards. 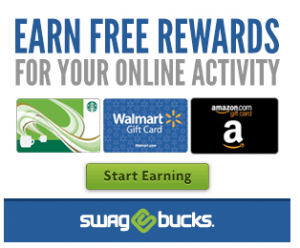 Swagbucks also gives you a $5 signup bonus, so you can start earning from there as soon as you sign up with them. It is a very popular survey website or you can even say that it is one of the best survey websites out there. You can cash out even if you have only $1 in your account. And there are lots of ways using which you can cash out your money from Swagbucks. Such as Amazon.com gift cards or even PayPal money transfer. Payment: PayPal, Amazon gift card, iTunes codes, Airlines Miles. SurveySpot is also an online survey site and a child company of SSL (Survey Sampling International, LLC). It has been there for a very long time in the survey sites industry. And because of that SurveySpot is one of the most popular survey sites on the internet. Here the minimum payout is $5 and you can get paid via PayPal, Amazon.com gift cards, and iTunes codes. And that’s why it is one of the best survey sites on the internet as of now. 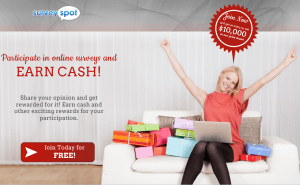 If you are looking to earn some good passive income then you can join SurveySpot and start earning from there. Payment: Merchandise, PayPal, and Store gift cards. 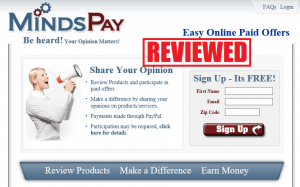 They are a very high paying survey sites on the internet today and they are very well-known also. Here also the reward system is based on the points, which means you will earn points for each survey you complete successfully. 10 points equal to $1. You can get paid via Merchandise, PayPal, and store gift cards. Datatelligence is a new survey site which pays a good amount for completing surveys successfully. Here also, the reward system is based on the point based system. The minimum amount to cash out is $10 and that is equal to earning 100 points. You can get paid via PayPal or you can even win Prizes worth your amount. Mindspay gives a cashback on everything you purchase from there. And this is how you earn from there. So because they pay you a cashback on your every purchase from there. You can get paid via PayPal and the minimum amount to cash out is $50. Engage Studies offers one of the highest paying surveys on the internet. They pay you anywhere around $50 to $250 for every task you complete. The only downside is that you don’t have many surveys on their site throughout the year. But then also getting something is better than getting nothing. Therefore, you should consider registering with Engage Studies. The minimum payout is $50, which you can earn by participating in less than one survey. You will be paid via check at your registered street address. Engage Studies is also having a dedicated survey site based on the Healthcare industry. So if you are from the healthcare industry and want to participate in only healthcare related surveys then you can join engage studies healthcare panel. Here also they pay a very high amount for completing surveys successfully. You can expect somewhere around $50 to $250 for a single survey which you complete successfully. You can get paid via Check to your registered street address. Here also the only downside is that they don’t have a lot of surveys. But a good place to earn some good money just by participating in very few surveys. They pay around $1 for every survey you complete successfully. The survey will be mostly based on the brands from the country US (United States of America). The payment mode here is PayPal. You need a PayPal account in order to cash out your earned money from Esearch Account. And you will be allowed to cash out once you have as less as $1 in your account. Here you get paid to read emails. Yes, you just need to go and read emails and then you have to just answer few questions from the email. You can easily complete these kinds of tasks and can earn some great passive income from sites like Panda Research. Here you will be paid through PayPal money transfer. The minimum amount to withdraw is $50. You also get a signup bonus of $3 once you register with them. And that’s why it is one of the best survey sites on the internet as of now. The best part of consumer village is that they just don’t only have regular kind of surveys. But they also have surveys such as discussions which are moderated by a moderator from the Consumer Village Panelist. You have to discuss a product or service with other users on the site for a period of time and once the time is over you will get paid for participating in the discussion survey. The minimum payout is $5 and you get paid through gift cards. This survey is very different from most of the others on the list and you will enjoy this site if you like discussions. And that’s why it is one of the best survey sites on the internet as of now. This survey site is also based on the reward system. Here you earn direct points (DP’s) for every survey you complete successfully. 100 Direct Points (DP’s) is equal to $1. Directive Analytics Panel is one of the best survey sites and most emerging survey sites also. It is very popular and you can join them if you want to earn some handsome money by participating in surveys. You will get paid via check and you should have a minimum balance of $1 before you request for cash out from them. Don’t ignore this site just because they ask you to have at least $5o to cash out. You can make $50 on SurveyMonkey very easily. It will only take less than 3 surveys to get this much amount in your SurveyMonkey account balance. They are very popular for their high paying surveys and therefore they are one of the biggest survey sites today. Here you will be paid via PayPal. So a PayPal account is must when it comes to registering and earning money from SurveyMonkey Survey Website. So here, I have shared you my favorite list of 20 Best Survey Sites which you can use to earn some extra money every single month just by sitting in your home. These sites are completely free to register and there are no hidden charges involved in any of these sites. Now if you are someone who has never participated in any survey and didn’t have any idea about how surveys work. Any kind of question which may help the business to improve their products and services. Look, businesses are very eager to know that what people think about their products and services. They want to know about the experiences that their customers are going through with their products and services. So that they will have an idea, where they need to work in order to make their product or service more valuable for their customers. What new features you would like to see? One thing which you wish could have been better. How strongly will you recommend this product or service to your friends? These are few types of questions which you can expect from these surveys. Sometimes your answers will be needed in simply “YES” or “NO”. And sometimes you will need to explain your point or share your thoughts on the product or service in a form of paragraph answer. But that’s also simple. And you can easily pull off these simple questions. Look nobody likes do anything for free. How about, me asking you to participate in these survey sites and help brands and businesses around the world by answering them and not getting for paid for it. No, neither you nor I and no one will do it for free. And brands also knows that. That’s why the people who take out time to answer the questions and helps them make the product and services better by giving them the genuine feedback. I think these are the two most common questions which people have before they start using survey sites to earn money. And I guess, I have answered both of them pretty well. Survey sites are one of the popular ways to earn money from home. And it has been the most popular for very long. Just be aware of the fraudulent survey sites who charge you in the name of membership and registrations. Avoid those sites and use these 20 best survey sites to earn a handsome income every month. If you have any more questions then you can ask me in the comments below and I will be happy to answer them. Thanks for sharing yoսr tһoughts aЬout survey paid cash.